Now that Pokemon Go is no longer the biggest thing on the planet, it looks like Niantic is starting to think about what it might do for future games. Apparently a key part of that is allowing people to play their games without them looking like a "doofus", which could be achieved by having people play using audio cues rather than having to look at their screen. Speaking at TechCrunch Disrupt, Niantic's CTO Phil Keslin said that most people don't hold their phones up in front of their face while playing AR games. "It makes them look like a total doofus if they're doing it for an extended period of time," he explained. Instead, audio cues could be a good way of allowing people to play while leaving their phones safely in their pockets. With earbuds in your ears, “Nobody knows that they’re being augmented." Audio cues could take the form of fake phonecalls or direct instructions given by the game. Apparently this isn't the first time Niantic has thought about using audio, having first discussed it when they were building Ingress. Although Keslin didn't rule out audio cues coming to existing games like Pokemon Go, he confirmed to TechCrunch that the studio is currently actively developing a new game. This new game wouldn't be the first mobile title to lead its players using audio. The running app Zombies, Run! plays the sound of zombies chasing you as you run in order to motivate you to run faster. 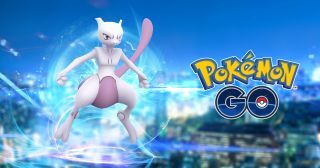 However, it's likely that Niantic's new game would be more focussed around playing the game for its own sake, rather than using it to enhance your exercise. Keslin declined to give a firm answer about when we might get to play the new game, but gave TechCrunch a cryptic "maybe" when they asked if we'd get to play it in 2018.